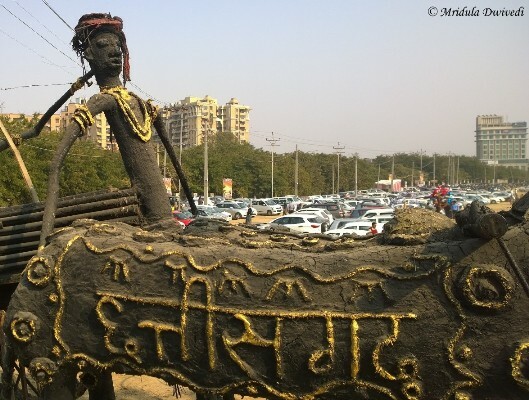 In spite of living in NCR since 2002 I never hauled myself up to the Surajkund Mela. But that changed today. I went to Surajkund Mela 2015 because the theme state was Chhattisgarh. I visited Chhattisgarh (not at the mela but the actual state) in January and I came back quite impressed. 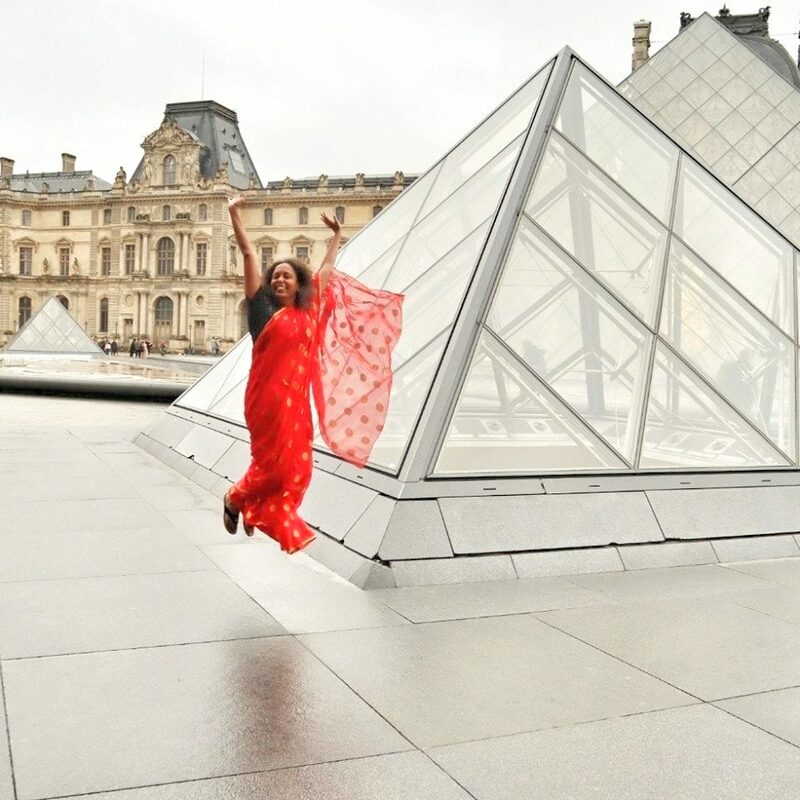 I decided to go alone and not take Chhavi as I was not sure what to expect on a weekend. 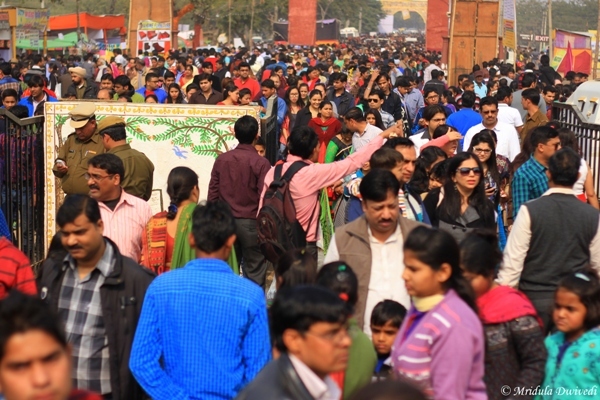 I am glad I didn’t go with my daughter, this is a partial view of the crowd that went to the Surajkund Mela today. It is great move of Haryana Tourism Department to let people purchase the Surajkund Mela Ticket online. I would have walked back if I had to stand in the queue to get the ticket. Do carry an identity proof if you do the ticket online as they ask for it at the entry. 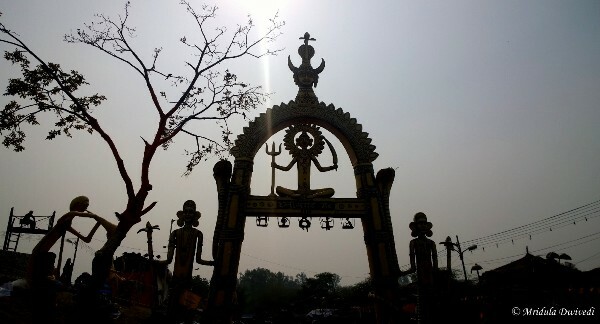 This was the beautiful Chhattisgarh Gate at the mela grounds. I have to say that I had panicked right at the entry, but I convinced myself to spend sometime now that I had come so far. I have to say that even though it was really crowded, people on a whole were quite well behaved. I never had to tick off anyone at the mela ground. 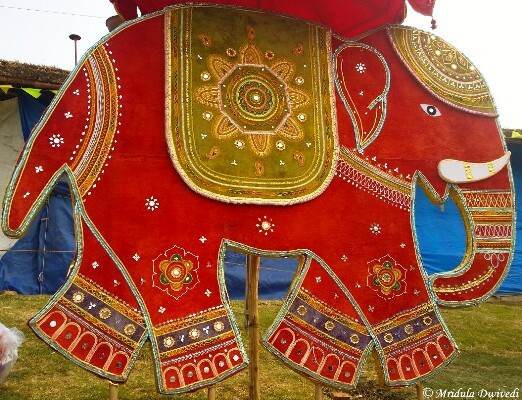 There were a series of red elephants right posted along the entrance. They were a popular stop for people to take a photograph. I managed to get one minus the people after a while. 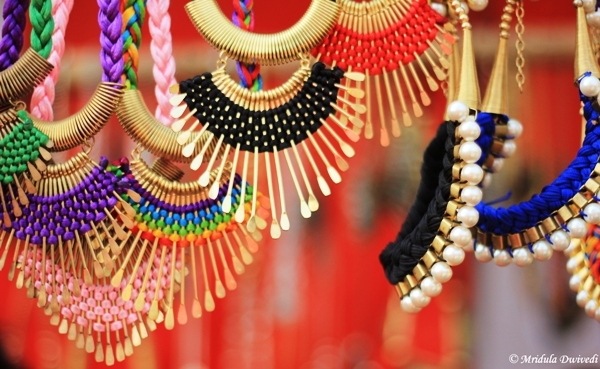 There were a lot of jewellery stalls and apart from an odd boyfriend, women thronged it. I liked them a lot as well but for a slightly different reason. I was hanging around these stalls for they make for a very pretty picture. Unfortunately neither my sister nor I wear necklaces so I didn’t buy any. But how beautiful they look! If you are not fazed by crowd you might actually enjoy clicking pictures and walking around. I am like a stricken chicken when it comes visiting crowded places. However, I did spend close to an hour at the venue. 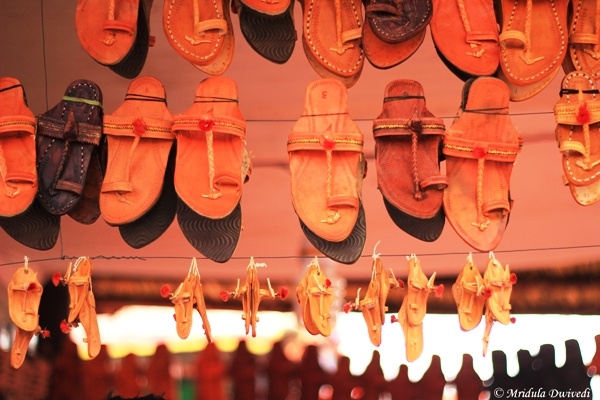 Surajkund reminded me a bit of Dilli Haat. 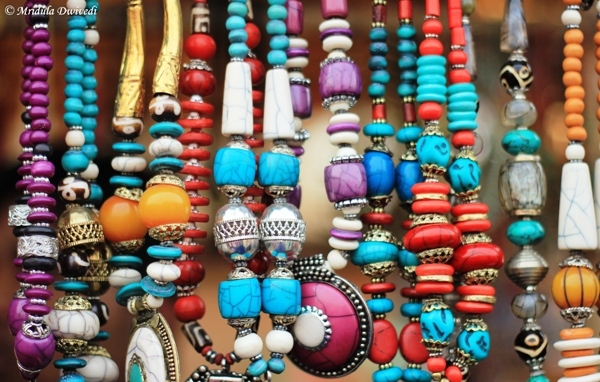 But of course it was grand daddy of Dilli Haat in sheer size, variety and people visiting the place. I have often read that sometimes we shoot take pictures with just one lens. I carried only the 50mm prime with me. 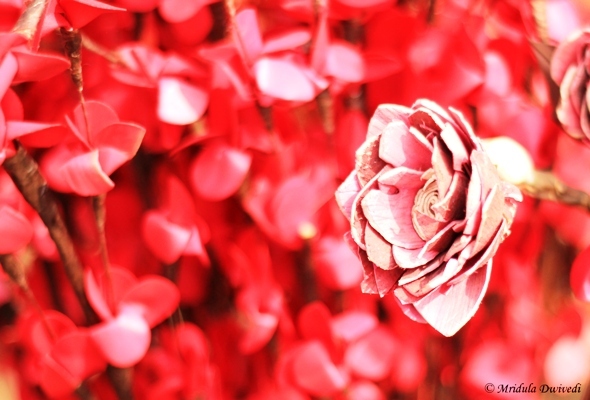 All the pictures are clicked with the 50mm lens and the Lumia 1020. 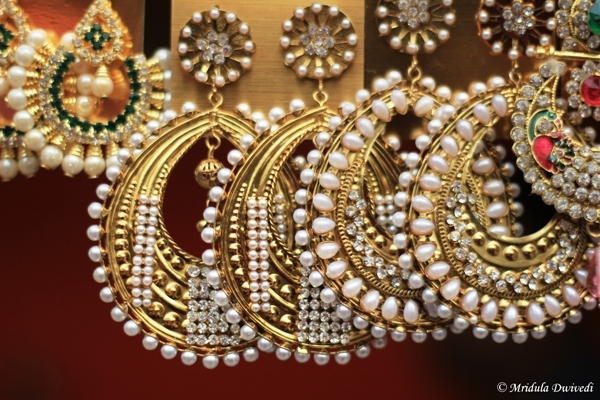 Even though I am very fond of buying earrings, this time I was content by clicking pictures. I didn’t even ask for the price once. I now wish I did, for the one in the top left hand corner. 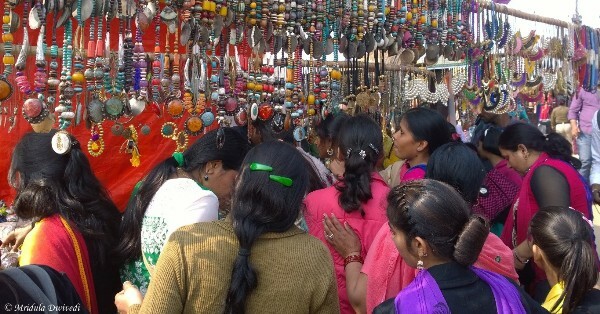 I can now say that I have been to the Surajkund Mela. If you don’t mind the crowd you will enjoy it a lot. If you are like me, I am not so sure. Do remember that you can buy the tickets online, just check out the official website of the Haryana Tourism. There are mela buses plying from the Badarpur Metro Station on the violet line. The mela bus stand is at walking distance from the mela gate. You can get down at Tughlakabad Metro Station as well and take a cycle rickshaw or an auto.